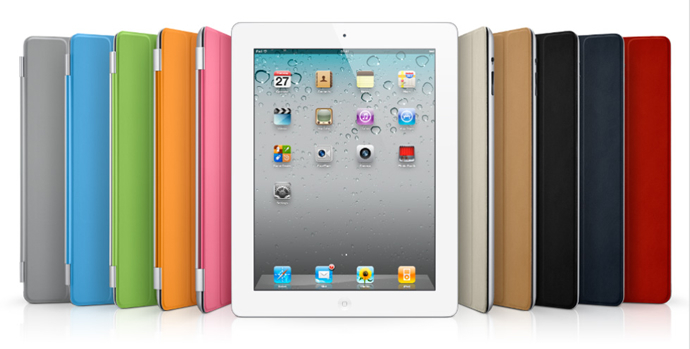 Apple’s “magical” iPad 2 hits the shops here in the UK tomorrow at 5pm (Friday 25 March). When the original iPad was launched last year I successfully fought my urge to splurge and managed to resist getting one, justifying the decision with the logic that waiting for version 2 would be a better use of my money. Well, version 2 is now here and I’ve use up all my willpower and can no longer resist. I will be getting an iPad 2. To complicate matters further all 6 models now come in both black and white versions. I’m pretty sure the black version is the one for me, yes the white looks nice and screams “I’ve got version 2” but I think the darker bevel will frame movies and other media better. Decision made. So, I come back to having to choose how much memory I stump up for and, more importantly, whether or not to fork out the extra cash for the 3G option. My gut feeling is the more memory the better, firstly as it will help prolong the usefulness of the device and secondly as it will help increase it’s resale value should I ever decide to upgrade and sell it on. So I’ll probably opt for the 64BG version. Which leaves one decision: Wifi or Wifi + 3G. This is proving a harder question to answer. Having not had the first iPad I’m not 100% sure of how I will mainly use it. I know I will use it, but I’m not yet sure of how. By that, I mean, where I’ll use it. At home, I’ll have Wifi. At the office, I’ll have Wifi. At Starbucks and numerous other public places, I’ll have Wifi. But, not everywhere will have Wifi. Most trains that I use don’t. The park doesn’t. I’m not sure if I need connectivity in those places, but it’s tempting to think I might. However, and it’s a big however, the thing that’s really putting me off the 3G option is the cost. All models of iPad 2 are £100 more with 3G, and that’s before you’ve even paid for the sim and it’s connectivity. If like Amazon’s kindle the 3G version of the iPad was simply more expensive up front it would be a simple decision: buy it. But with the thought of the extra up front cost, and then the potential monthly / pay-as-you-go costs on top I’m shying away from the 3G version. Ben, who I work with, has the first iPad and it’s the 3G version. And he swears by it. “90% of the time I’m on 3G”. But he has a fairly long train commute into work every day, and one that has fairly good 3G coverage. I walk to work, and when I do use the train (to head either to the Isle of Wight, West Wales or Cumbria) most of the journey is more often signal free than signal full. So, unless any of you lot can convince me between now and 5pm London time tomorrow evening, I think I’ve talked myself out of buying the 3G iPad 2.